I wasn’t fully thinking about the conflict between these two goals which was the root of my problem. MediaAgent_1 and MediaAgent_2 are geographically separate across the WAN, with a 30Mbps effective connectivity. 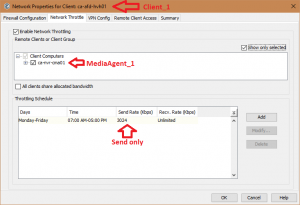 Client_1 and Client_2 are geographically separate, and back up to MediaAgent_1. Each has a 6Mbps link. 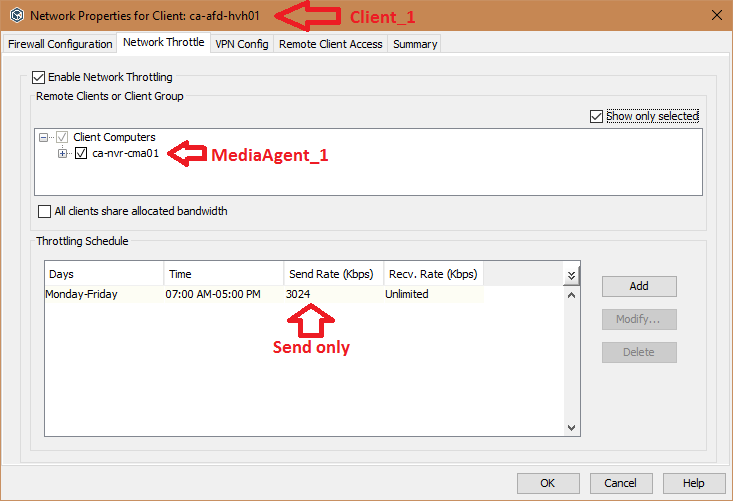 In my previous configuration, I applied absolute Send/Receive throttling on the Media Agents to accomodate the Aux Copy, at 20Mbps limit, and similar throttling on the Client configuration at 3Mbps. As much as it doesn’t make sense, I believe what was causing the problem is that the MediaAgent was set to receive at 20Mbps which overrode the “send” setting on the Client. Now running backups during the day isn’t causing extreme saturation of my WAN links!